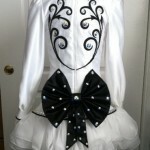 This is a white satin dress with black embroidery. The skirt is a soft three layered chiffon. 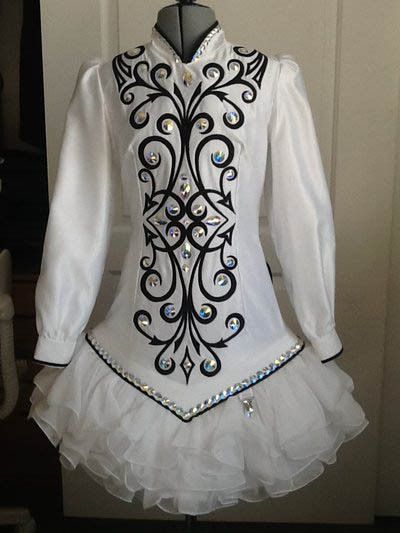 It is decorated with Swarovski crystal AB rivoli stones, all the stones are sewn on ! 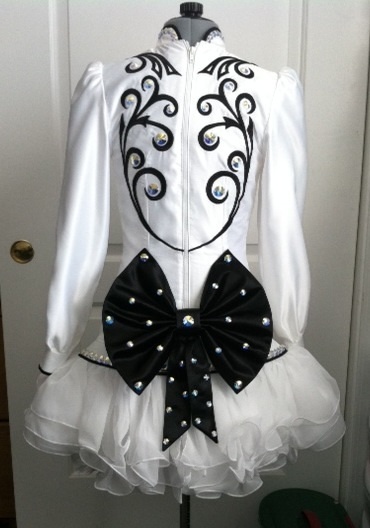 The dress is very light weight and has been dry cleaned so looks brand new. The dress is a year old and looks very elegant on stage. There is let out room on all seems and the dress can be lengthened easily.